Riding a New Orleans streetcar is an everyday occurrence for Tulane freshman Jimmy Arceneaux (Bayou Fire). But one evening, things are different. Find out how in Last Stop: Storyville. Last Stop: Storyville is the first entry in award-winning author Sharon E. Cathcart's Pocketful of Stories series. This edition also includes a sample chapter from Bayou Fire. Yellow fever. Voodoo queen Marie Laveau. A long-lost relative's homecoming. The Underground Railroad. All of them are part of Alcide Devereaux's (Bayou Fire) continuing story. See what adventures come his way in Yellowjack and the River Man. 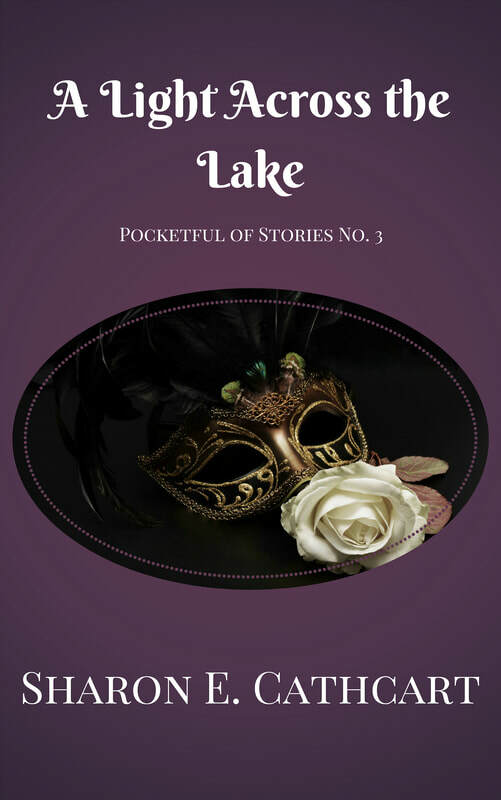 The second in award-winning author Sharon E. Cathcart's Pocketful of Stories, this edition contains a sample chapter from Bayou Fire, the book that started Alcide's tale. Return to Paris' glamorous Opera Garnier, and the world of the award-winning Seen Through the Phantom's Eyes series! "A Light Across the Lake" is the tale of apprentice set builder Lucien Dubois, who is determined to see what lies in the fifth cellar. Will his exploration raise the ire of the infamous Opera Ghost? This edition of Pocketful of Stories contains a sample chapter from In The Eye of The Beholder, the Phantom tale that started it all.